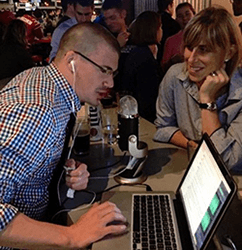 In this exclusive episode, we bring you breaking news from the APTA: the launch of the Outcomes Registry. Jimmy talks what it is, what it does, and why it’s going to change the profession with Heather Smith, Director of Quality at APTA, Nathan Glusenkamp, President of Provider Solutions for FIG MD, and Jay Irrgang, the Director of the Outcomes Registry. Check out the Registry here. Looking for the press release from the APTA? Click here. For other news, check out the latest Spinal Tap News here. This episode brought to you through a partnership with the American Physical Therapy Association.